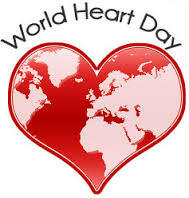 Not sure if you are aware but 29th September is World Heart Day. And to support this there is a new kid on the block to supplement heart health and aid in lowering cholesterol, Beta Heart by Herbalife is a powder supplement that can be mixed either as a stand alone drink mixed with fruit juice or water, or mixed in with Oats for breakfast, also excellent mixed with protein shakes and smoothies which is my favoured method, there is no taste at all when mixed with shakes, as a stand alone with water the taste is very similar to porridge oats. One scoop of Beta Heart contains 25 cals, 1.5g oat beta-glucans, 3g high fibre. The key ingredient is Oat Beta-Glucan. real our *real* food is ?